It isn’t often that you are allowed, even encouraged, to smear colored powder on and spray water guns at your friends and family. 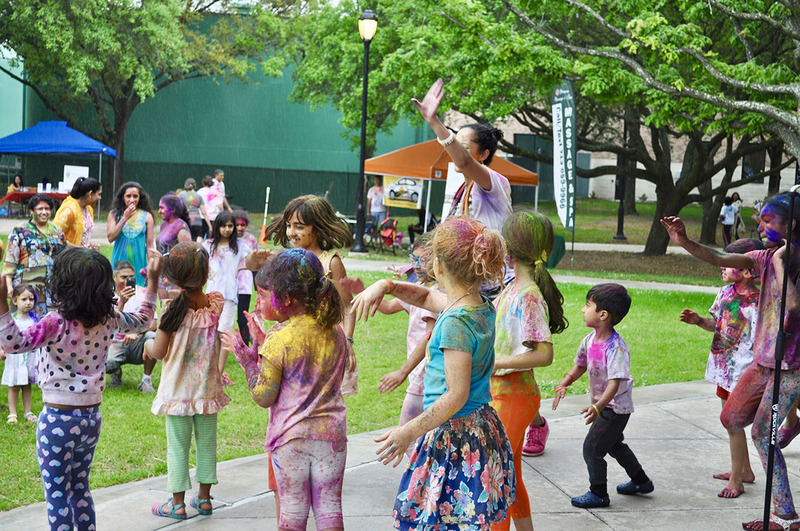 But on Saturday afternoon, hundreds of community members gathered in Bellaire-Zindler Park to do just that at the first annual Bellaire celebration of Holi, the Hindu festival of color. 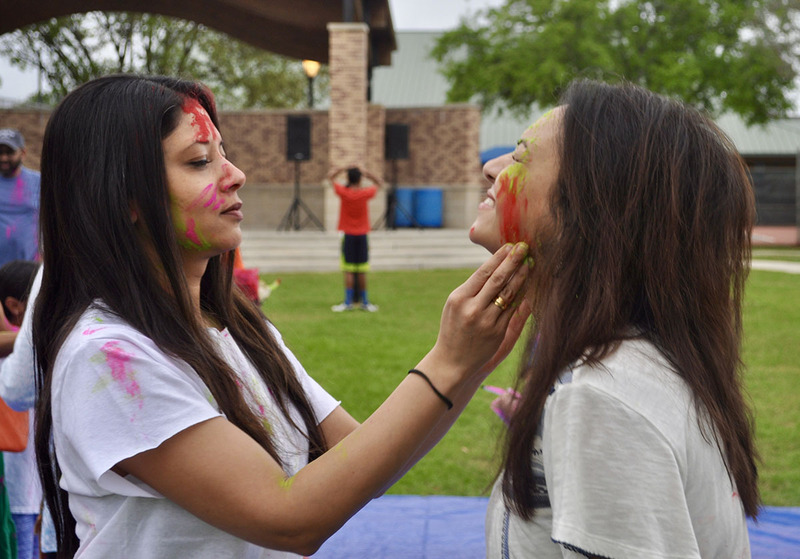 During the three-hour event, children and adults alike frolicked in the park, smearing non-toxic powdered color on friends’ faces while Bollywood music emanated throughout the park. 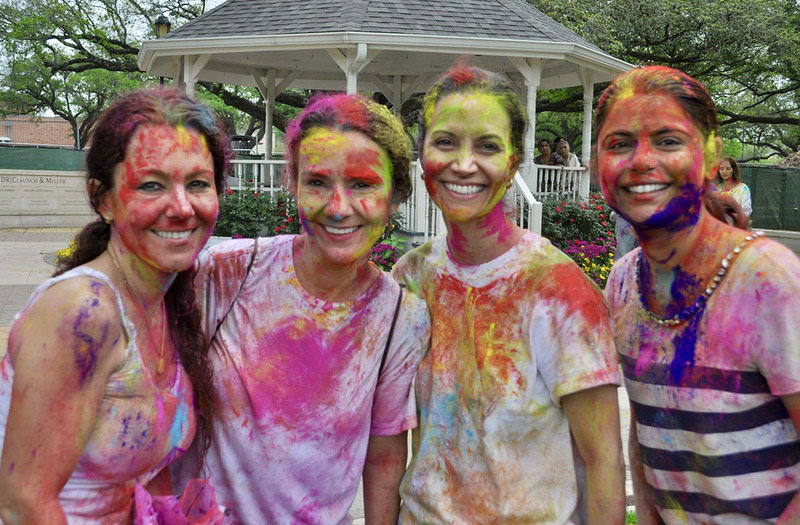 Holi is an ancient religious festival that signifies the arrival of spring and the end of winter. 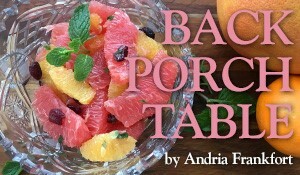 For many, it is also a celebration of love, hope and forgiveness. During the raucous festival in India, the streets are overtaken with crowds covered in colored powder. Water guns are filled with colored water, and people from all socio-economic levels run around the streets spraying each other while also celebrating through song and dance. 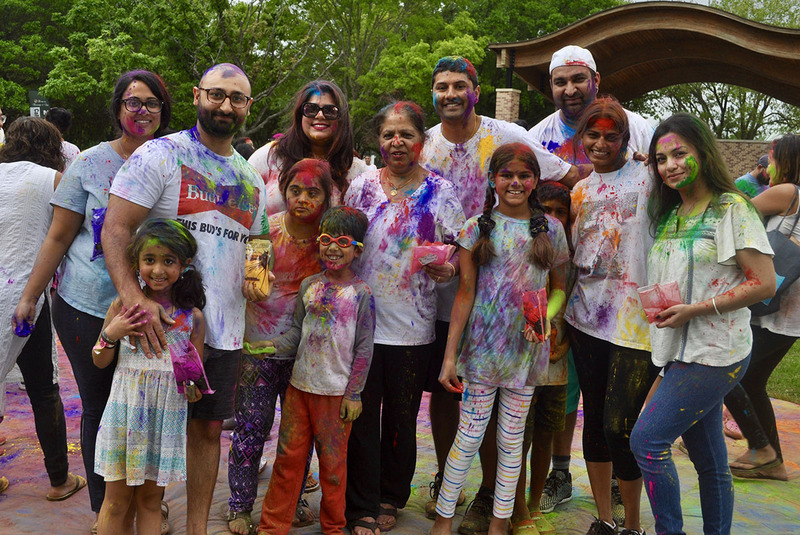 Here in Houston, annual celebrations take place in Sugar Land and Rosenberg, and some Houston-area temples also host Holi events. 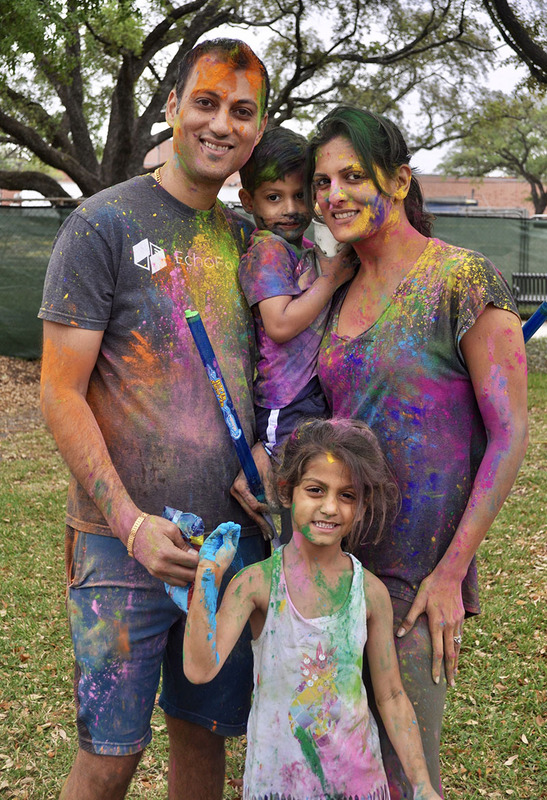 But there has never been a public celebration in or around the Bellaire area, prompting Bellaire resident Himanshu Upadhyaya to organize one this year. Upadhyaya conceptualized the event and fronted all of the expenses, including putting a deposit on the venue and purchasing the powdered color. He then recruited several volunteers to help organize and market the event. He said the city was initially worried about the environmental impact of the colors, and they were concerned the powder could stain the park’s grass. Ultimately, they settled on using only environmentally safe and non-toxic colors and to limiting the color to a 1,200 square-foot area they covered with a plastic tarp. 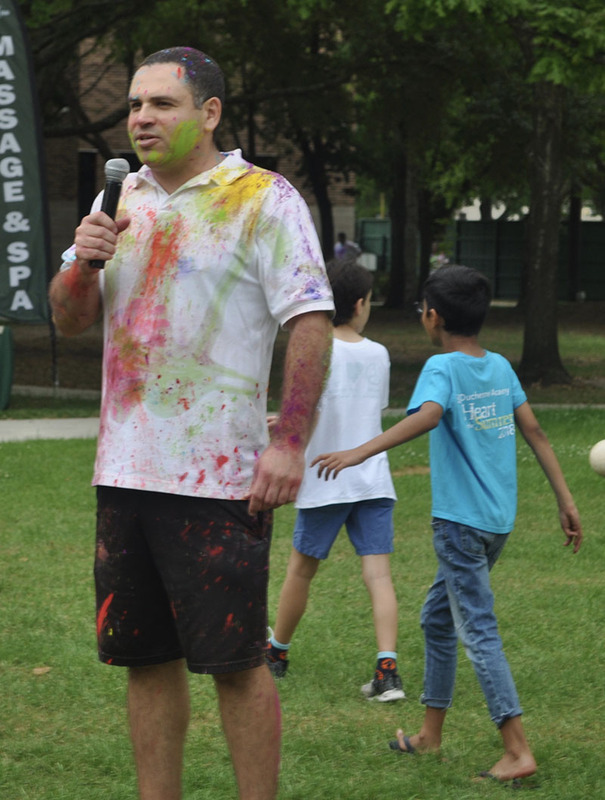 In addition to throwing color, attendees enjoyed music from a live DJ as well as dancing led by Bollywood dance teacher Kajal Desai, and singing by members of the Bellaire Bollywood singers. Kumar’s Houston, a restaurant specializing in South Indian cuisine, was onsite selling lunch. Since this was the first event of its kind, Upadhyaya was not sure how many people would attend, and his team of volunteers heavily marketed the event through Next Door, social media and flyers. 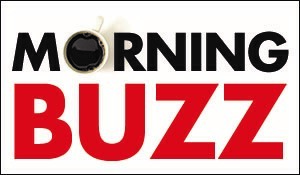 “We wanted to encourage the broader community to participate because it’s one of the most fun events in India that people look forward to every year,” he said. By the time the event rolled around, 500 tickets had been sold. And at the outset of the event, the line to the check-in table winded its way around the park. Children 12 and under did not require a ticket, so volunteer Puja Dutta estimates that significantly more than 500 people likely attended. Upadhyaya even had to send a volunteer to a local Indian grocery store during the event to purchase more colored powder.